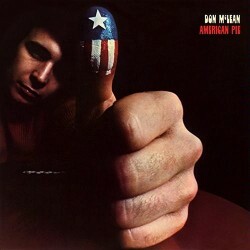 I believe “American Pie” by Don McLean makes a reference to the JFK assassination. “American Pie” is the (early) Baby Boomer coming-of-age story, as the chronology of the song runs roughly from 1959 to 1971, the year “America Pie” was released. The song is about disillusion, and each of the song’s six verses describes a moment of despair (“the day the music died”) for that generation. Most of these moments revolve around music and its potentially redemptive powers, but the song also makes cryptic references to larger political issues of the time. Posted on November 14, 2013 January 28, 2014 by Dead Man	in JFK Assassination. Tags: American Pie, Don McLean, JFK Assassination.